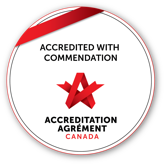 As an organization, Covenant Care is committed to meeting or exceeding Alberta Supportive Living Accommodations Standards and Continuing Care Health Service Standards. We are audited on a regular basis to ensure continued adherence to these standards. Our Covenant Care staff are committed to live our values in everything that we do. The Catholic Health Ethics Guide is the foundational ethics resource used by Covenant Care. Clinical and organizational policies, ethics consultations and ethics education at Covenant Care are based on the principles contained in the guide. Staff also have access to an ethics service that can help provide clarity in situations involving their personal values, the resident’s values and the values of Covenant Care. organization is committed to innovation and enhanced quality to seniors care. New models in care and service, demonstration projects, and other redesign work currently underway in continuing care are driven by multiple factors, the foremost being the needs of the people we serve. Provider and system-focused approaches are being challenged, inviting critical reflection to ensure care and service delivery practices are evidence-based and fully responsive to those in need. Click here for details.